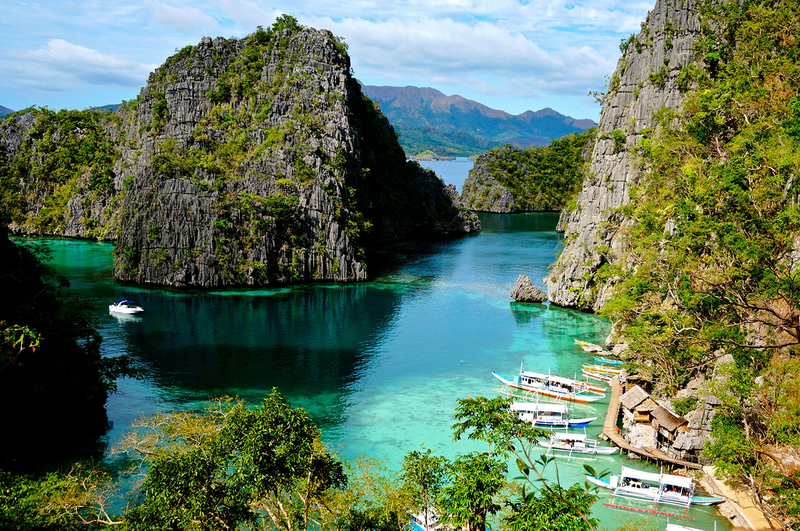 Situated in the middle of the vast Pacific Ocean, Philippines is the land of natural wonders. 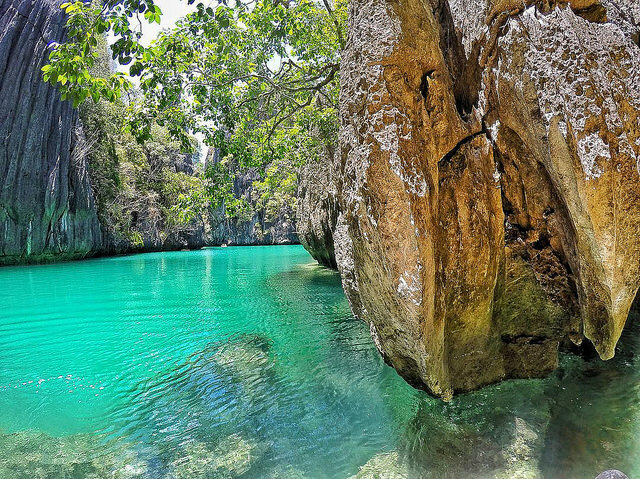 Unexplored nature and mysterious water of Phillipines 7,107 islands still await to be discovered. 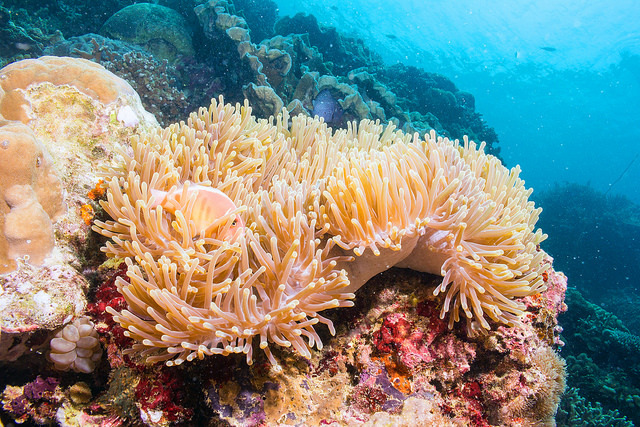 Lush green forest on the islands is home to countless land animals, just like amazing sea of coral reef is home to extraordinary sea creatures. With this diversity of life, Philippines has become a paradise for nature lovers, and we believe that the AEC will pave a way for more people to experience the magic of Philippines. Manila, the capital on Philippines, is the first and foremost gate that welcomes millions of visitors to Philippines every year. However, many visitors would stay in the busy city for a bit before making their way out to the island paradises around the country. Similar to any other islands in Philippines, Luzon island, the biggest island of Philippines where Manila is located, sits on the “Ring of Fire”, meaning that there are thousands of active volcanoes around the island, as well as under the ocean. One prominent wonder of nature near Luzon is the Taal Volcano– a large volcanic island in the middle of the sea. The center of the island is a lake which really is the crater. And since Taal is one of the most active volcanos in Philippines, the calm lake is just a camouflage for the true destructive power of Taal. There has been a record of 33 historical eruptions with thousands of casualties, but don’t be scare to visit the volcano because Taal is still calmly resting and Philippines is equipped with modern volcanic activity warning system. see how eruptions and erosions have shaped the wonderful landscape of Taal Volcano. But if you really want to get close, you can travel from Tagaytay by boat to Taal Volcano, and follow your local guide to the crater to see the breathtaking Taal Lake. The recorded number of whale shark spotted in a day is amazingly 45 whale sharks spotted in just 1 day, with the average of 5-10 whale sharks spotted in a day! However, SCUBA diving is not permitted in the area, but who needs scuba diving when snorkeling with a gentle giants is already an unforgettable once in a lifetime experience. During our dive, we came across a whale shark which didn’t seem to care much about our presence. It swam slowly right by us; so close that I forgot to breathe for a minute. The 12 meters, 40 tons, dark grey gentle giant with spotty skin, which it uses as a camouflage, just came to say hello and swam away out to the open sea, leaving us humble and breathless. From Luzon, we caught a ferry past countless islands in central Philippines to Cebu. 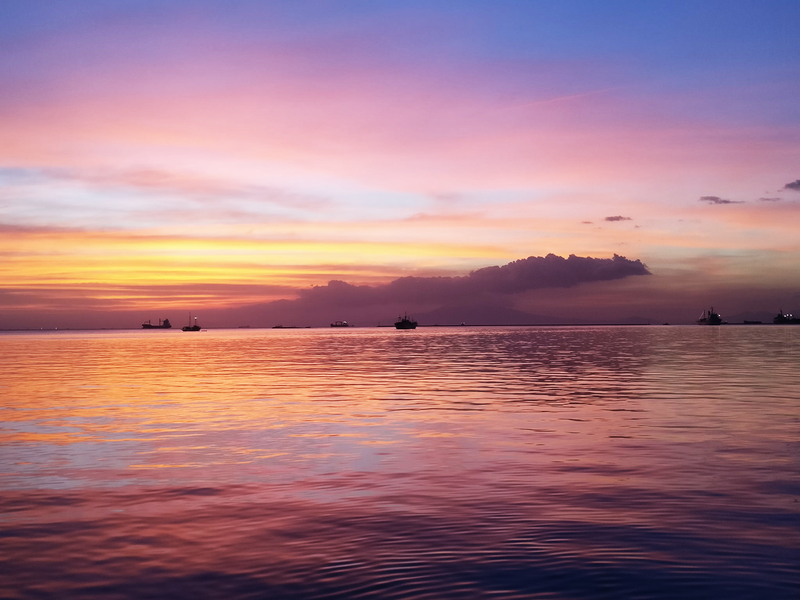 Cebu might be one of the must-go destination in Philippines, but we only stayed one night before continuing to our next destination, Bohal Island. The 10th biggest island in Philipines is 2 hours south of Cebu by express ferry, and it’s dubbed as the paradise for nature lovers. Compared to Cebu, Bohal is virtually untouched. You won’t find big cities here, instead, you’ll find small villages scattered across the island. The road takes us through the dazzling landscape to Tarsier Sanctuary where Tarsier, a rare endangered native animal, lives. Tarsier is one of the smallest primates on earth, with only 8.5 – 16 centimeter tall and weighs only 80 – 150 grams. Tarsiers are nocturnal, meaning that they mostly sleepduring the day and hunt during the night. It eats anything from insects, small lizards, eggs, and spiders, and while it may look slow, Tarsier can jump up to 3 meters from 1 leap to escape from any danger. Another interesting fact about these quirky little creatures is, their heads can rotate almost 360o! Just 10 minutes into the sanctuary, we found a cute little Tarsier sleeping on a tree with its long fingers holding on tightly. Although we tried to be very quiet, it was aware of us and looked at us with its huge eyes. The eyes are gigantic compared to its body size, but they are designed to be an essential hunting tool to use during the night. The Tarsier looked at us a little while, turned its head, and jumped away into the woods. It probably was not a good idea to observe a night animal during the day, so we made our way to our next stop, Chocolate Hills. 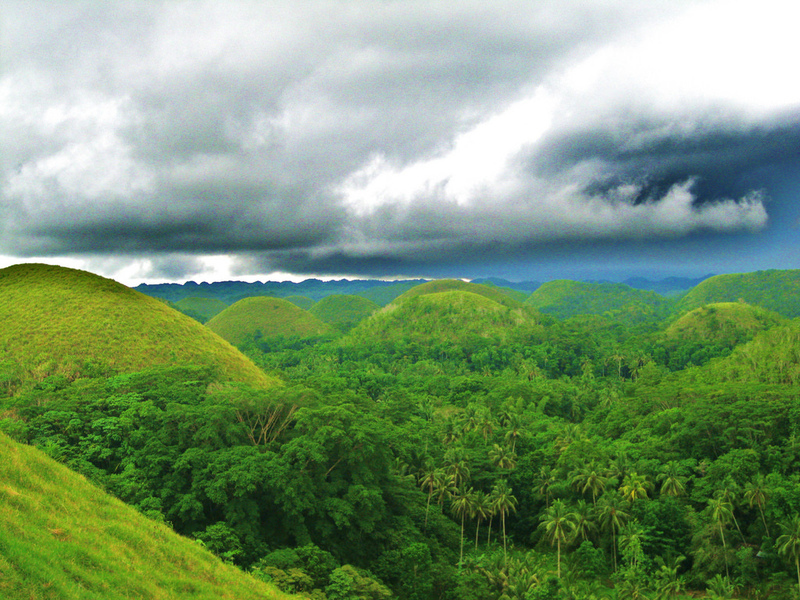 The area is a sea of 1,260 grass-covered limestone hills that look like chocolate pieces during the drought season when the grass dried out and turned brown. From the scenic point on the highest hill, it’s just unbelievable to learn how creative nature is. It won’t be a complete Philippines adventure without island hopping and diving at jaw-dropping diving destinations because Philippines is home to world renowned diving spots. 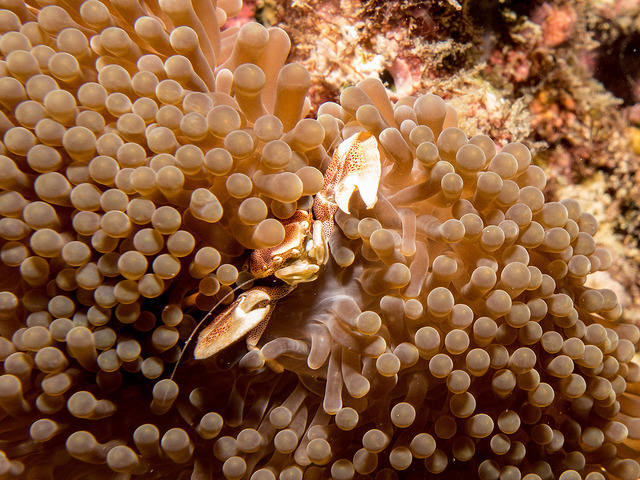 We have selected 3 diving spots that guarantee to wow. Voted “The Best Island of the World” in 2012 by Travel + Leisure,Boracay Islandis a tiny 10.32 square kilometers island with huge “wow” factor. From the powdery white sand beach to the spectacular coconut grove and the sparkling water surrounding the island, every inch of the island oozes a dreamy island paradise feel. Boracay was originally a coconut plantation owned by a couple from Panay Island. The scene started to change during 1970-1980 when backpackers found the island. Beside coconut plantation, Boracay is also the home of the native islanders called Ati who are mainly fishermen, but some have turned themselves into local guides. The island is shaped like a dog bone, laying 7 kilometers from head to tail, with beautiful beaches siding the East and West sides. On the West side, resorts, restaurants, and shops make the 4 kilometers White Beach their home while surfers and kite boarders gather for an extreme adventure at Bungalo Beach on the East side of the island.If you are a couple seeking a romantic getaway, White Beach is a stunning spot to watch the sun slowly sets behind the horizon. As we have mentioned that Philippines is one of the top diving destinations, it’s wrong not to mention Mindanao Island! The largest island in South Philippines is surrounded by the wonders of nature, including the world-renown coral reef north of the island. 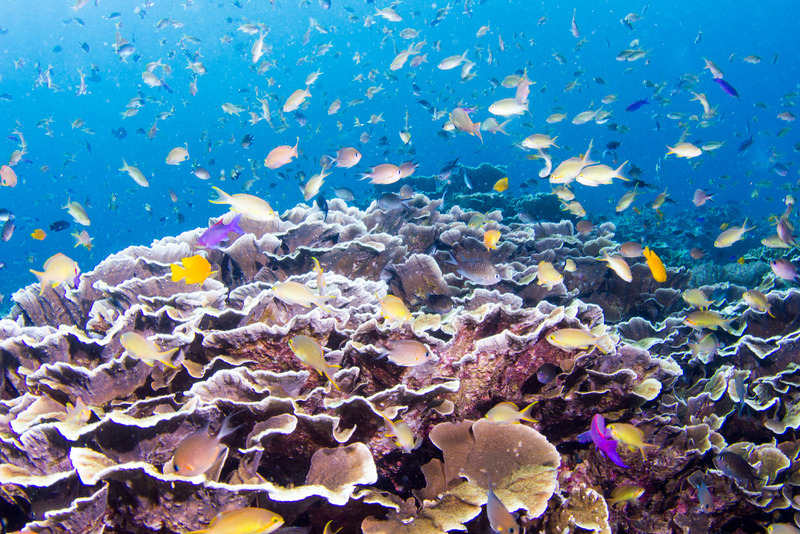 Myriad of marine life, especially deep sea and rare fishes like whale sharks, hammer head sharks, manta rays, giant clams, morey eels, sea slugs, lion fishes, shoals of tuna and mackerel, etc. The sea around the popular diving spots, including Samal, Davao, Angels Cove, Agutayan island diving spots, is so clear that the visibility is amazingly 30 – 50 meters. While amateur divers can enjoy a lot of beautiful diving sites, more advanced divers can adventure into the breathtaking Sea Cave Dive, Wall Dive, Wreck-Ship Dive, and Night Dive! The last destination on our magical Philippines trip is PalawanIslands. 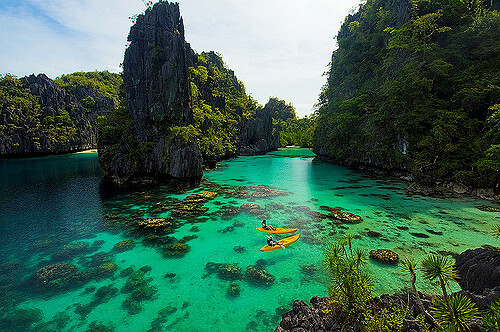 Palawan Islands is a collection of 1,780 islands located northwest of Mindanao, in between South China Sea and Sulu Sea. Palawan has over 2000 kilometers of coastline and abundance of islands for you to explore. You won’t be able to explore all the is lands, but if you have time, a visit to Busuanga, Culion, Coron, Durangan, Balabac, Cuyo, orKalayaan would be an unforgettable trip. 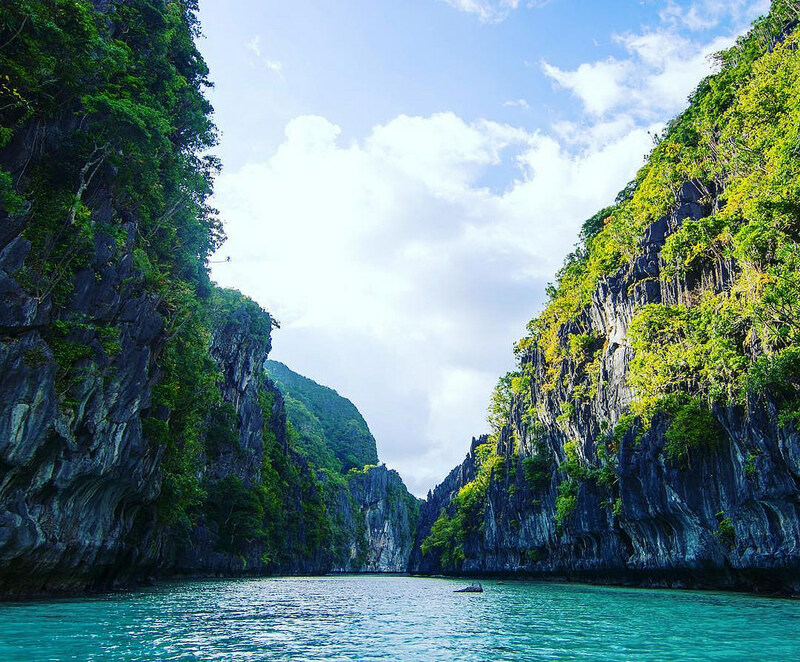 Beside lush jungle and charming coastlinr, Palawan is called the “Cradle of Philippines Civilization” as evidences of early civilization dated back 22,000 years ago were found in Tabon Cave. Whether you want to explore the underwater world, chill in a resort amidst untouched nature, or stroll on an extraordinary beach, Palawan is a true island paradise for whatever your heart desire. If you want to do some island hopping, you could do it in style in Palawan’s traditional boat that looks like a spider because it has long sidebars on each side to give the boat an extra balance. Although it’s been more than a week in Philippines, but the charm of beautiful beaches, refreshing breeze, and sparkling water always captivate us every time we arrive at a new destination, and we believe that we will never get tired of exploring this fantastic country.